The International Dark-Sky Association’s Brand Partners are dedicated members of the dark-sky protection community from the corporate and business sectors. They support programs, outreach, education, and night-sky conservation efforts on many fronts. We offer our Brand Partners customized packages, media exposure, IDA program underwriting opportunities, and much more. Learn how your business can become an IDA Brand Partner or contact brandpartners@52.10.225.191. Lumican specializes in energy management solutions for the commercial market with a focus on LED products and services. With R&D in Edmonton Canada and sales & distribution in Houston, Lumican’s mission is to accelerate the adoption of clean technology and reduce energy consumption while improving environmental, health, and safety concerns. Lumican’s R&D efforts are in commercialization and design of custom LEDs using core technologies that solve key problems in light pollution. Lumicana™ series features fully shielded luminaries, designed to provide the familiar warm light of traditional lamps without the glare, blue/white light, bright color temperatures and problematic issues rising with LED lighting. 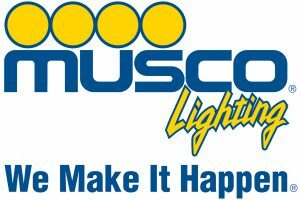 Musco leads the world in sports and transportation/infrastructure lighting, designing LED solutions for everything from neighborhood fields, to major stadiums and arenas, to international airports . Musco is proud to support the IDA and the protection of dark skies. Grand Canyon National Park Lodges is the primary provider of in-park lodging at the South Rim of the Grand Canyon—one of the world’s premier destinations for more than a century. As part of Xanterra Parks and Resorts Grand Canyon National Park Lodges manages six distinctive hotel properties. Their company has been a Guiding Partner with IDA for three years and their $15,000 commitment supports IDA programs and operation. As Director of Sustainability David Perkins explains, “Our commitment to IDA is one of the many efforts to protect the beautiful places where Xanterra operates.” The Grand Canyon earned provisional certification as a Dark Sky Park in 2016. Since 2006, GreaterSkies has been making beautiful personalized star maps. Their scientifically accurate star charts show up to 8,000 stars, all the visible constellations, the Sun, the Moon and the Solar System planets at any time of day or night, for past or future dates, anywhere on Earth. The organization is touched that so many people choose a star map as a personalized gift to celebrate special moments of their lives. GreaterSkies believes all living beings should be able to experience the awesomeness of the night sky and is proud to support the IDA’s efforts to preserve it. Your True Nature began creating eco-friendly products and programs in 1993 after founder Ilan Shamir received sage advice from a tree: Stand tall and proud. Remember your roots. Enjoy the view! From there, Ilan and his daughter, Laurel, have worked side by side to help the company branch out and reach new horizons. Their story is rooted in caring for the earth, creating new advice, planting trees and using heart-tickling inspiration and wisdom to celebrate the beauty of nature and human nature. Your True Nature has been an IDA supporter since 2010 and has contributed $15,000+ to support IDA’s night sky protection. C&W Energy Solutions is an LED company specializing in custom LED technology, gaining notoriety for work in lighting markets with environmental concerns. CWES has 30-years of experience in the technology of lighting filters and components developed to be friendly to endangered species, human health, agriculture, the night sky, etc. CWES has provided global solutions in lighting programs, including over 15,000 roadway lights in Hawaii designed to fit strict lighting ordinances for the largest observatory in the world. Located inside beautiful Jasper National Park in Alberta, Canada, Fairmont Jasper Park Lodge is surrounded by nature, wildlife, and dark night skies. The Lodge is a 700 acre year-round mountain resort, on the shores of Lac Beauvert and offers recreational opportunities such as hiking, kayaking, golfing, horseback riding, skiing, ice skating and more! In addition to supporting the IDA, Fairmont Jasper Park Lodge also supports the Jasper Dark Sky Festival, showing a true commitment to protecting the world’s night skies. Hipcamp’s mission is to get more people outside. You can search, book and discover over 285,000 campsites across the US on Hipcamp from public campgrounds to private ranches, farms, vineyards and more. By choosing to get outside with Hipcamp, you are supporting a deeper connection with, and preservation of land, culture, and community. Together, we can leave our planet — and our dark skies better than we found them. For over 50 years Holiday River Expeditions has been guiding educational river trips through the canyons of the Colorado Plateau. They believe that when folks float into wilderness and away from cities, they can truly disconnect, and in the dark sky sanctuary of our region, reconnect with the night sky. 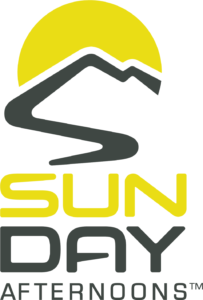 Sunday Afternoons: Sun Protection Hat Experts has been making hats for over 25 years for everyone and everything under the sun, moon, and stars. Their Giving Back program supports groups conserving natural wonder for future generations–including the wonder of natural night skies. Sunday Afternoons became a Guiding Partner of IDA in 2016. 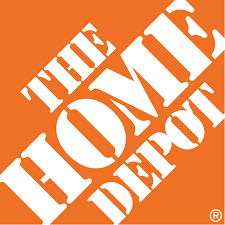 VOLT® Lighting is a factory-direct online store offering homeowners and professionals complete landscape lighting systems and components, including dark-sky approved lights. Since VOLT® designs, manufactures and distributes the products, they are able to provide durable, innovative, and award-winning landscape lights at affordable prices. AMP® Lighting is the professional-only division of VOLT® and also offers dark-sky approved lighting. *IDA does not endorse the products or services of its Brand Partners.